Following preparations of Independent Elections Commission for holding Saturday’s parliamentary elections, UN officials for Afghanistan have said that Afghan women’s participation is vital for credible elections in the country. In a meeting on Monday with Afghan women from civil society organizations and advocacy groups on role of women and their participation in Saturday’s parliamentary elections, Tadamichi Yamamoto, the UN Secretary General’s Special Representative for Afghanistan and head of UNAMA, said the full participation of women in Saturday’s parliamentary elections in Afghanistan was vital for inclusive and credible elections in the country. “Elections are only truly representative and credible when women fully participate and are included in all parts of the electoral process,” said Yamamoto. “I was inspired and encouraged from my meeting today with Afghan women, all of them strong leaders actively working toward women’s full participation in all areas of Afghanistan’s social, economic and political life, including in elections,” Yamamoto added. In a statement, UNAMA insists that full participation of women as candidates, electoral workers, observers and voters is the civil and political right of all Afghan women throughout the country. Enhancing women’s participation in all stages of the electoral process is vital for strengthening democracy in Afghanistan. Elections provide a key opportunity for ensuring women’s concerns are addressed and women’s meaningful participation in the political, economic and social future of the country is maximized, the statement added. The UN Mission also said that it is the responsibility of Afghan authorities, political parties, candidates and civil society organizations to take all necessary measures to improve and encourage the participation of women in the elections. According to UNAMA and IEC, 16 percent of candidates are women, a marginal increase on previous elections, and that women make up approximately 32 percent of total registered voters. Meanwhile, a number of women and civil society activists believe that women are half part of Afghan society and this part of our society have the right to take active part in political destiny of the country. 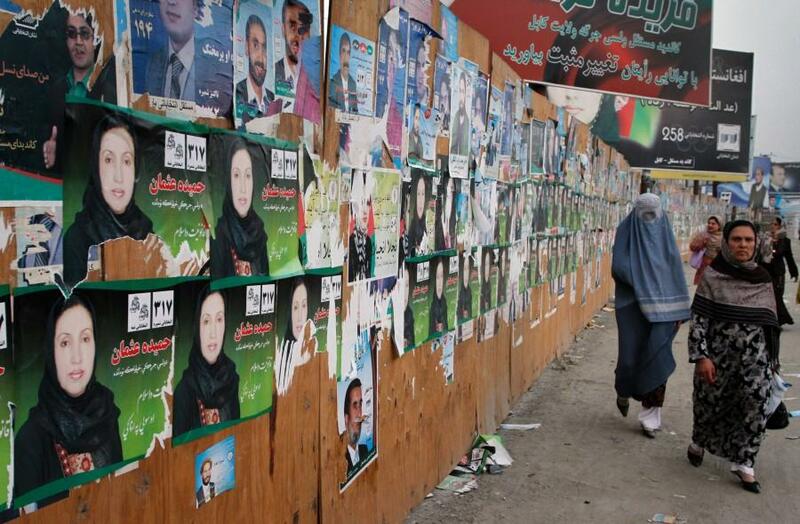 “Undoubtedly no processes will succeed without participation of women in Afghanistan and election is also part of such processes; therefore, women should take part shoulder to shoulder with men in all processes,” a civil society activist Safia Hamdard said. Hamdard said that passing a woman in parliament of a country like Afghanistan was so challenging, but adding that despite all challenges, it was necessary that women should represent other women in parliament to raise the voice and problems of women in parliament’s meetings. Fariha, a university lecturer, by pointing to role of Afghan women in parliament says elections is a valuable opportunity for women in Afghanistan and it is time for active women in the country to make use of the opportunity for full participation in all processes of the elections. She added that Afghan women have now got capabilities in the country and could play vital role in key national issuesk such as elections, peace process and international conferences. It is worth mentioning that more than nine million Afghans are set to cast votes in Saturday’s parliamentary elections as there is no alternative except holding the elections to rescue the country from ongoing crisis.